Hey you all. 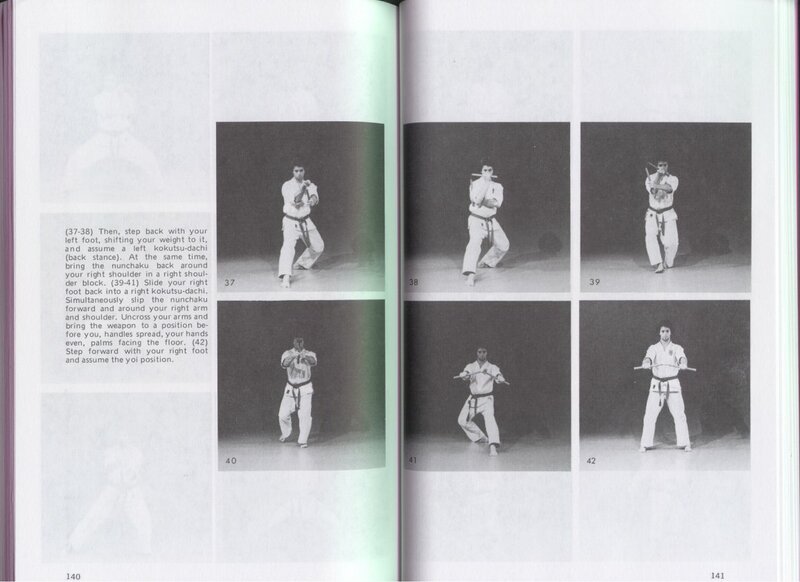 I decided to make good use of my new collegiate level quick cam so I took a few pictures to show varius nunchaku things like the grips I describe in the clips and move index section. 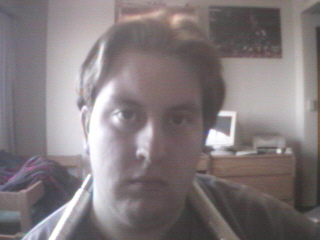 Also, some people wanted to see what I looklike when I'm not all fuzzed up by the long distance from the camera. 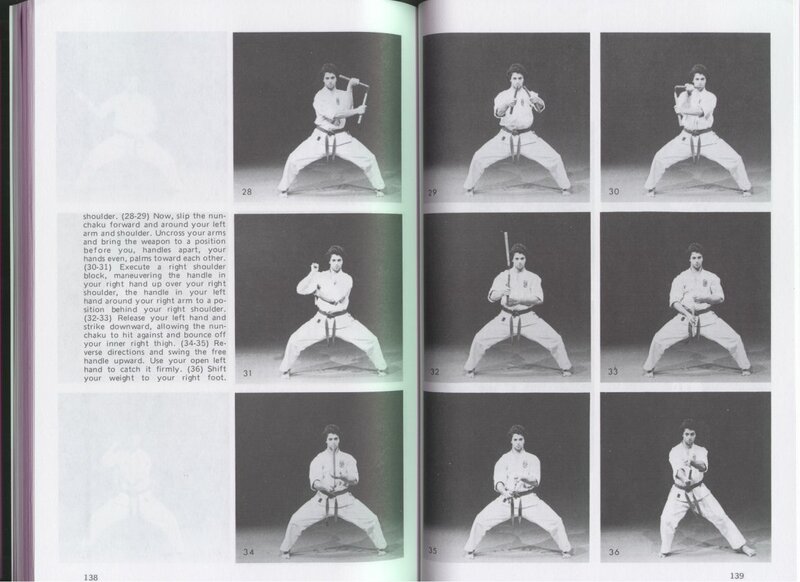 Plus, I have been given some interesting pictures by other nunchaku artists, and what better place to have them than on a nunchaku web page?...aside from a nunchaku book...video... anyways, here be da' pictures. 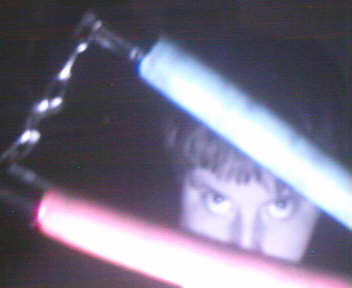 These are my custom made nunchakus. Here's how I made them: buy a regular pair of nunchakus, a good pair to use are the standard $10.50 burned rattan nunchakus. Go to an car accessories shop (I went to Pepboys in Detroit) and buy some car decals in large rolls (mine is in the "prismatic" form but there are many other kinds you can get). Carefully wrap each stick in a winding fassion (never break the decal except at the very ends, like a staircase) and then bind the whole thing very tightly but neatly with clear packaging tape. 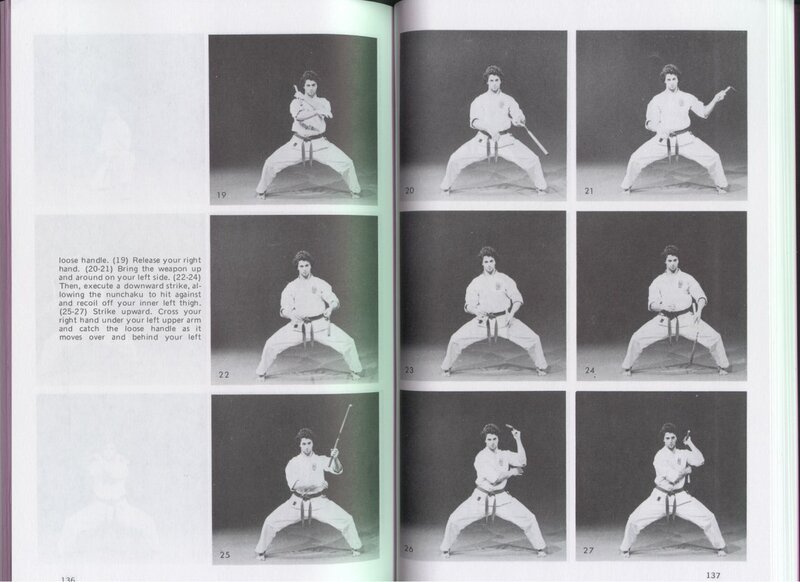 They have an amazing asthetic quality to them, and they are captured with much more ease on film. 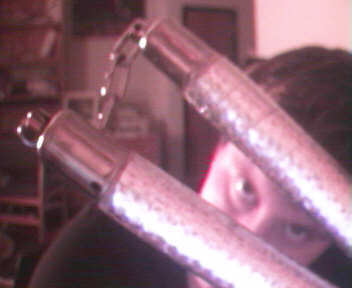 Here is my newest custom pair of nunchakus. They are creating all the light you see in the picture...yep, they GLOW IN THE DARK! I charged up the particles under a light and turned off the monitor and took the picture. I can't believe how well they work. Find out more about how I made these in the submissions area. 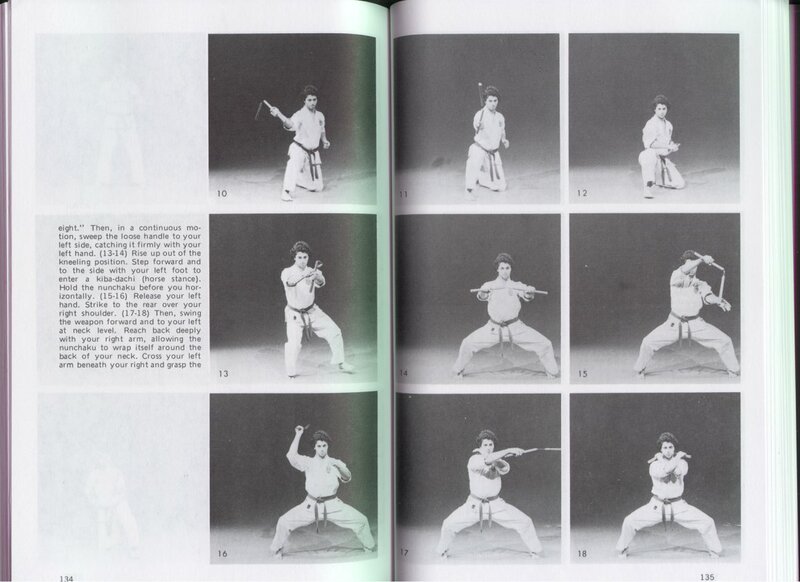 That's all for now, feel free to send in any interesting nunchaku pics.